Whether you live in a city that experiences true winter weather or you travel to participate in winter activities like downhill skiing, snowboarding or ice skating, there’s always a risk of muscular and joint injuries when dealing with ice and snow. While these outdoor sports are great for improving cardiovascular health, when an orthopedic injury occurs, it can lead to pain, long recovery times, and increased medical costs. The good news is that, if armed with education and information on common winter-sports-related injuries, it’s possible to both prevent injuries and enjoy your favorite activities. Knee injuries are some of the most common types of injuries treated in sports medicine. The anterior cruciate ligament (ACL) is partially responsible for stabilizing the knee during movement. When the ACL is injured, whether sprained or torn, it results in instability in the knee and debilitating pain. ACL injuries most often occur during winter sports that require sudden stops or abrupt changes in direction, like snowboarding. When torn, an orthopedic surgeon may recommend an ACL reconstruction surgery in order to rebuild the ligament while restoring stability and mobility to the knee. Shoulder injuries, like dislocation, are very common during winter time. Winter weather leads to snow and ice, which can even make it challenging to walk. Participating in a strenuous activity can increase the risk of shoulder injury. 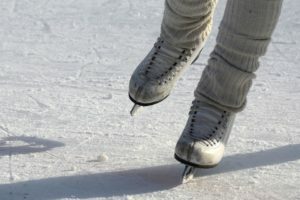 Skiing, ice skating, and ice hockey are all activities that can put you at risk for a shoulder injury. These activities have a higher risk of falls and when you hit a hard surface like ice, you run the risk of dislocating your shoulder. The shoulder joint is more mobile than other joints on the body, which increases its instability. As a result, a sudden impact can easily cause the joint to slip out of the socket, leading to intense pain and possible damage to nearby ligaments and muscles. If you or a fellow athlete takes a fall, it’s imperative to seek care at an emergency room and with an orthopedic surgeon right away. 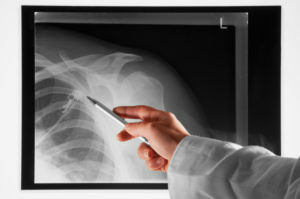 Unlike primary care doctors, orthopedic surgeons specialize in treating shoulder injuries and are trained to surgically repair any damaged tissue in the shoulder, if necessary, as well as restore stability to the joint. A wrist fracture involves a break in the small bones of the wrist or ends of the forearm bones. These types of fractures most commonly occur when a patient attempts to break their fall by holding out their hands and subsequently landing on them. Over six million people suffer a broken bone annually but only 300,000 of those cases will heal successfully. With a wrist fracture, it’s important to seek an evaluation with an orthopedic surgeon to assess the severity of the break and provide expert treatment. Wrist fracture treatments might include wearing a splint or cast, depending on the amount of damage and/or loss of function. Surgical intervention is necessary in cases when the break is severe, when conservative treatments fail, or in order to restore full function. In addition to these treatments, rehabilitation is an important part of the healing process with the primary goals of restoring the range of motion, strength, and functional movement. Learn more about wrist injury treatments at WebMD.com. Spinal or back injuries are some of the most common and disruptive injuries that can occur with winter activities. Injuries to the back can vary from annoying to dangerous. Sprains and strains to the ligaments of the back can lead to pain and weeks of recovery, while a fracture or dislocation can damage the spinal cord leading to partial or full paralysis. Skiers, snowboarders and ice hockey players are prone to spinal injuries. While some spinal injuries will resolve on their own, it’s valuable to seek out an evaluation with an orthopedic surgeon to evaluate your symptoms if they do not resolve within a few weeks. 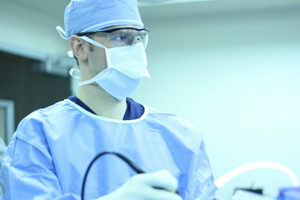 Innovative orthopedic spine treatments and regenerative medicine offer patients with spinal injuries the most effective healing options with efficient recovery times. Make sure to warm-up before participating in any wintertime activity, like skiing, snowboarding or skating. Stretching will not only help improve your flexibility but also reduce your risk of injury. Additionally, pre-season conditioning is crucial for preventing knee, shoulder, wrist, or back injuries. It’s recommended to incorporate resistance training to strengthen the stabilizing muscles and connective tissues as well as improve functional strength. Playing winter sports can be unpredictable and injuries can happen. Beverly Hills orthopedic surgeon and regenerative medicine expert Steven W. Meier, MD and his team at Meier Orthopedic Sports Medicine (MOSM) have extensive training and expertise in diverse orthopedic injuries and can help return you to full function in your chosen winter activities. If you’ve suffered an orthopedic injury, contact Meier Orthopedic Sports Medicine online or call our office to schedule a consultation today.